And the conversation starts from there. But now, along with my dear friend and fellow cryo patient Marianne Vennitti, we are taking the cryo conversation global! Yes, that is a big goal but when you are part of a team, passionate and determined to help others it is possible. I know it is possible because in one year Marianne and I have created Alliance for Cryoglobulinemia, established our mission launched the website, and built up two international support groups. This blog is about the journey to create an international platform via the internet; a network that connects people with cryo, advocates, researchers, healthcare providers and doctors. It is not my journey alone, I walk it with many others who have cryo and those that love us. I am here to advocate, share and write for all cryo friends around the world. Marianne and I met online. We talked on the phone, became friends and realized that we both were advocates. 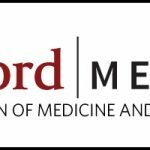 In September 2012, Marianne came to California to attend Stanford Medicine X at Stanford University in Palo Alto, California hosted by Larry Chu, M.D. She was the recipient of an epatient scholarship to attend the nontraditional medical conference that celebrates and empowers patients. I live close to Stanford so I invited Marianne and her husband Chris to dinner. We became a team and co-founded Alliance for Cryoglobulinemia. It is now October 2013 and our list of accomplishments are growing. We have so much to share, so many stories to tell, and so much support for which we are eternally grateful. My goal is to blog a couple times a week to let you know what is happening here in our cryo world. We are rare but we are not alone. Stay tuned, we look forward to sharing what we have done, will do and hope to do.